Linnet (Carduelis cannabina). Male, summer plumage. Taken at Durdle Door, Dorset, on April 30th 2015. Male, summer plumage. Taken at Durdle Door, Dorset, on April 30th 2015. Linnet (Carduelis cannabina). Male, winter plumage. Taken at Otmoor, Oxon., on December 20th 2015. Male, winter plumage. Taken at Otmoor, Oxon., on December 20th 2015. Linnet (Carduelis cannabina). Female. Taken at West Walton, Cambs, on August 13th 2017. Female. Taken at West Walton, Cambs, on August 13th 2017. 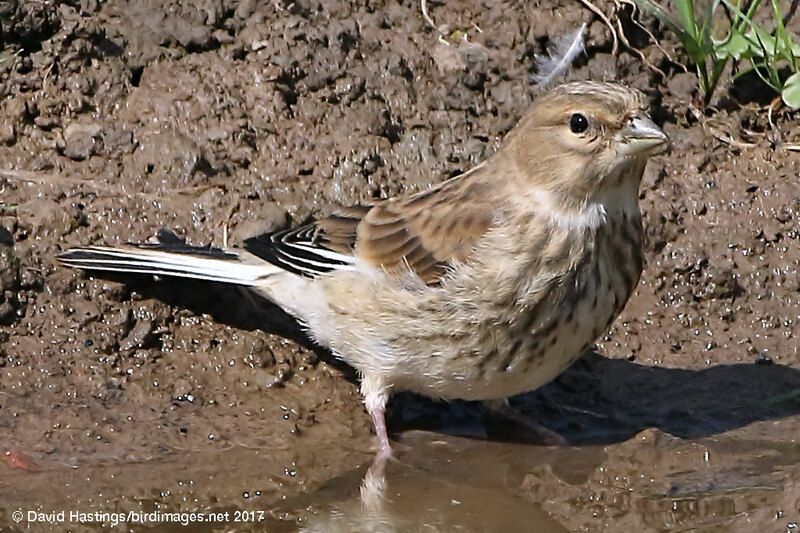 The Linnet is a small, slim finch. Males are attractively marked with crimson foreheads and breasts, while females are much browner. Both sexes have streaky breasts. 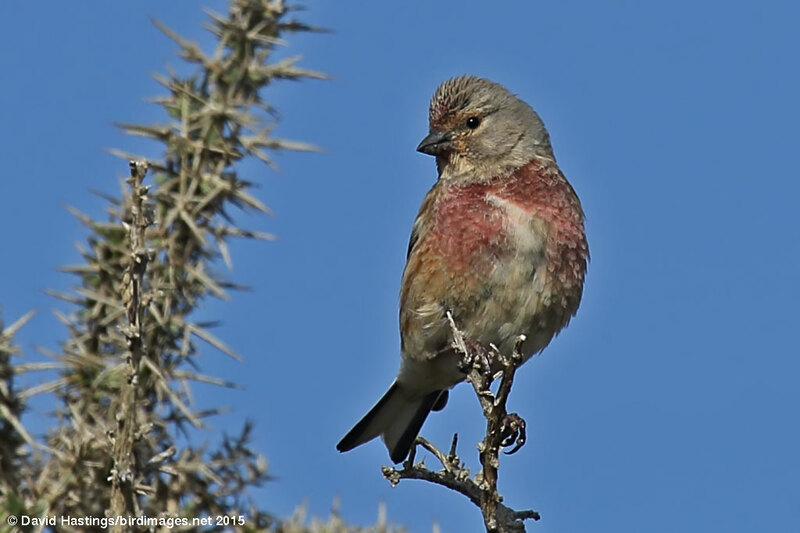 Linnets can be found throughout the British Isles with the exception of northern Scotland. 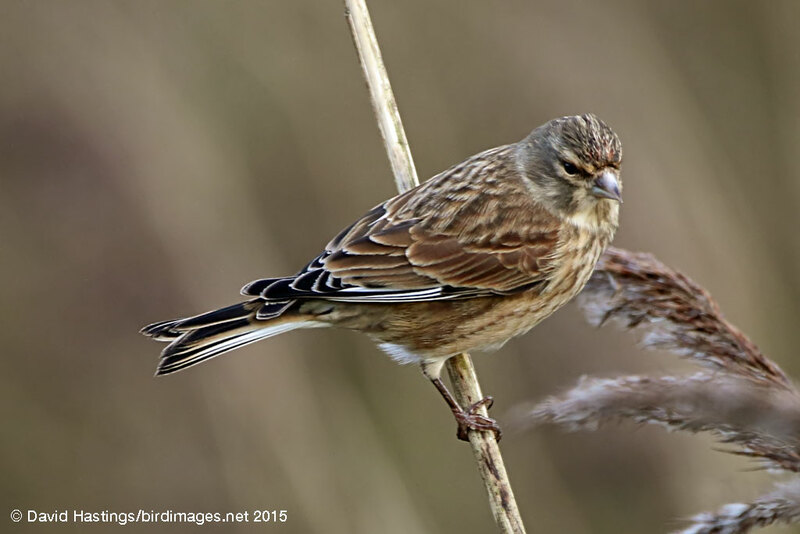 Typical Linnet habitats are commons, heathland, rough ground, farmland hedges, saltmarshes, and parks and gardens. Linnets are restless and active birds, often rising in hopping flight only to drop down again soon afterwards. It is a Red list species owing to a 57% population decline since 1970. There are about 430000 territories in the UK.